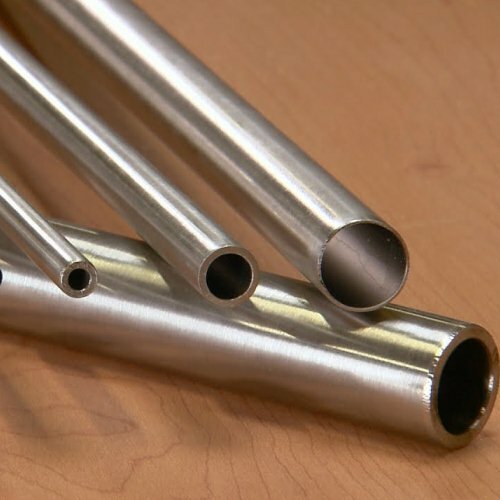 Stainless Steel 304 Tubes are available in sizes ranging from 1/4 in. OD to 5″ OD in. & lengths of 20 ft.
Metline is a professional stainless steel 304 tube supplier and manufacturer with more than 30 years experience. Our stainless steel 304 tubes are produced in compliance with ASTM A213/A269/A268 standards. SS 304 tubes supplied by Metline have excellent OD tolerance and mechanical properties enabling us to full fill the most demanding requirements from our customers. The quality of our tubes is ensured by our strict manufacturing process and testings at various stages of production. Metline is a specialist manufacturer and supplier of 304 stainless steel tubes with Bright Annealing (BA Tube) or Polishing (Surface Roughness Ra 0.18). We produce 304 stainless steel tubes with outside diameter 6mm upto 5″, in wall thickness upto 10mm. Metline is a professional producer of both thin wall and thick wall stainless steel 304 tubes, with exports to over 70 countries across the globe. In addition to 304 stainless steel tubes, we can also produce and supply related tube fittings such as SS 304 ferrule fittings, SS 304 compression fittings, and SS 304 couplings and SS 304 valves. Pipes are used to transport something, and tubes to construct something; hence, tubes are defined by the outside diameter and wall thickness (for construction stability), and pipes are measured by inside diameter to allow a calculation for transportation viz., speed, volumes, etc.